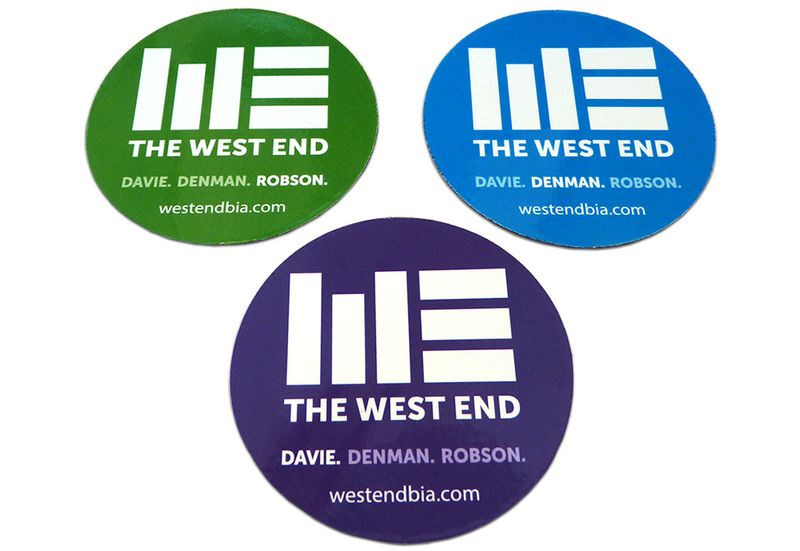 The West End BIA has recently rebranded itself with a modern look and bold new colours. Their new street banners went up recently. 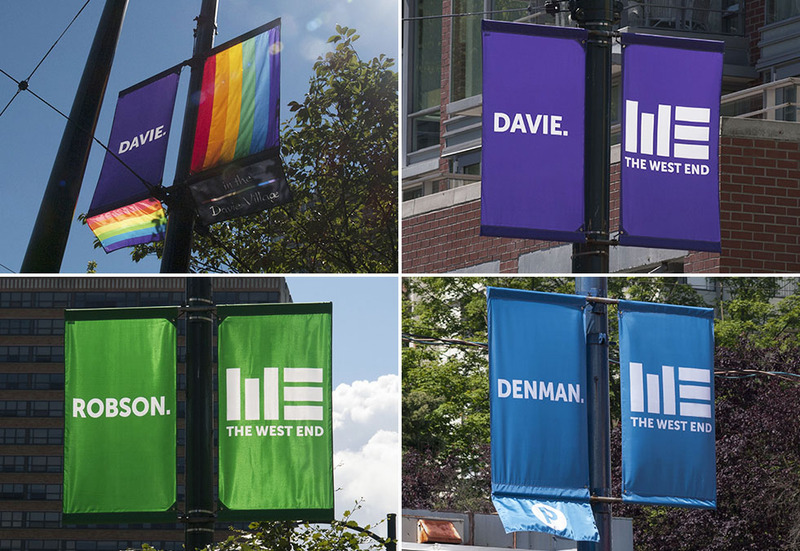 Blue on Denman Street, green on Robson Street, and purple for Davie Street with the Davie Village shopping area getting its own rainbow tails. In addition, we made magnets, cling decals for the businesses to put up, pens, and yo-yos for them to give out at festivals. 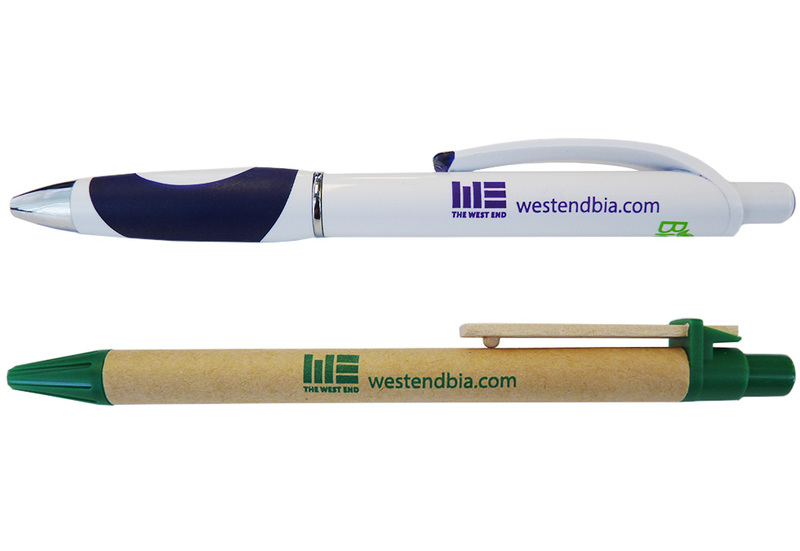 See more of our street banners here and our promotional products here!